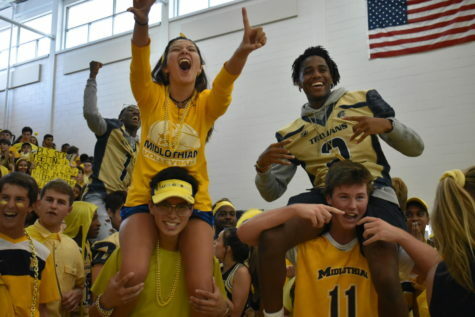 Junior students are excited for the pep rally and get another win. 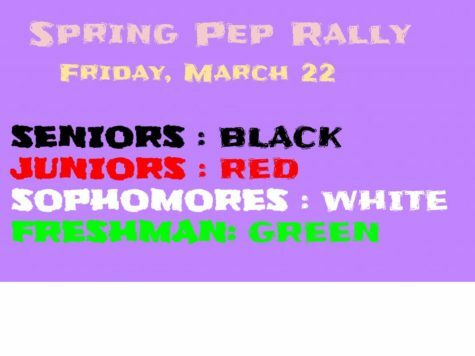 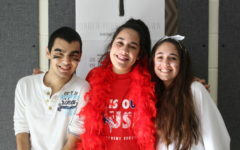 To top off the end of Spirit Week and get ready for the pep rally, students dressed in their assigned colors or attire. 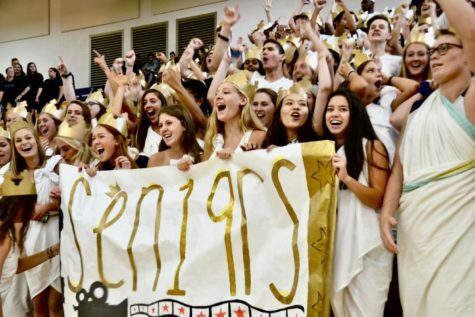 Seniors kept up with the tradition and wore togas and crowns. 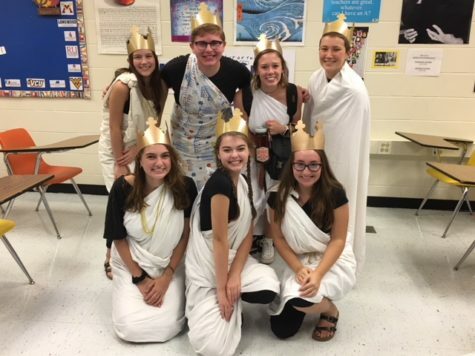 Many had trouble tying and creating their togas, so they enlisted the help of friends and teachers. 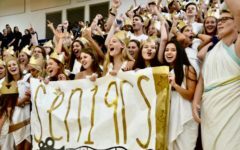 Senior class officers passed out the gold crowns during first period. 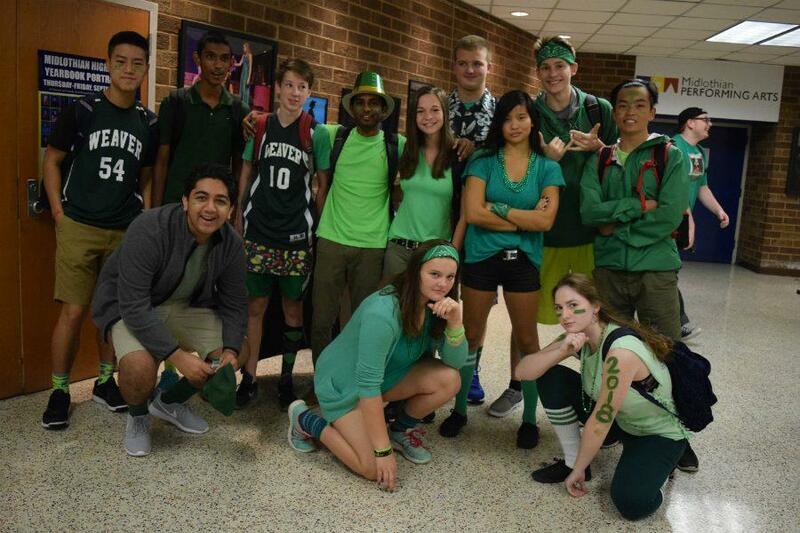 The juniors decided to celebrate St. Patrick´s Day early this year. 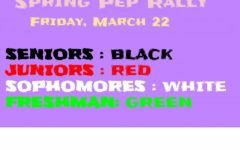 Decked out in all shades of green, the juniors are ready to challenge the senior class after losing the Powder Puff game. 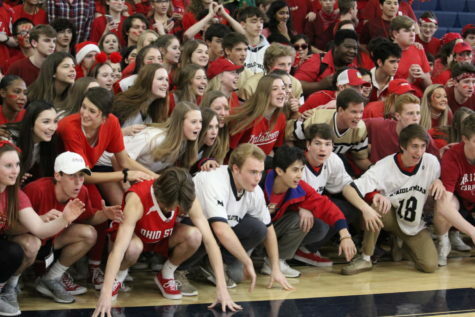 The sophomores chose to wear red, showing the level of heat and excitement they have for the upcoming pep rally. 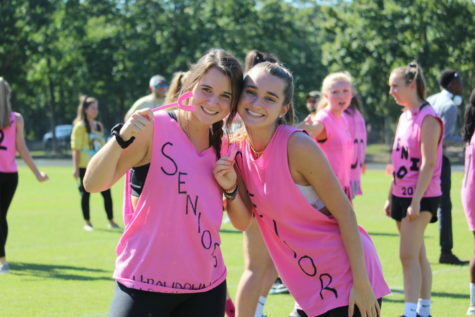 Freshmen decided to show their spirit by wearing pink to support Breast Cancer Awareness. 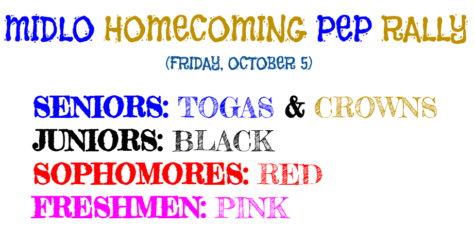 Tonight, be sure to come to the Homecoming Parade and Football Game. 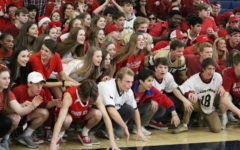 The parade starts at 6:30, followed by the game at 7:30. 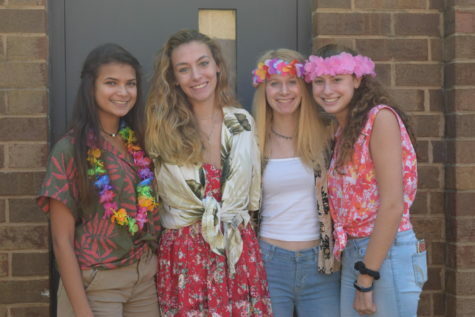 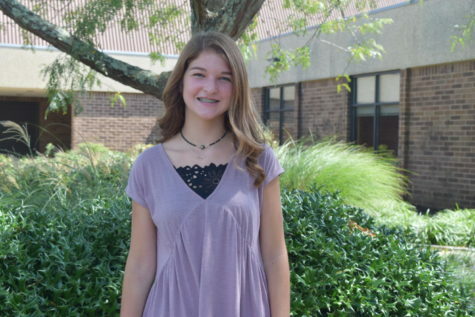 Dress to impress at the Homecoming Dance on Saturday night.